The Vacherie reclining sofa puts comfort in style. Plush cushions are stitched to perfection. Ease back into the deep seating to rest your head on the supportive headrest. 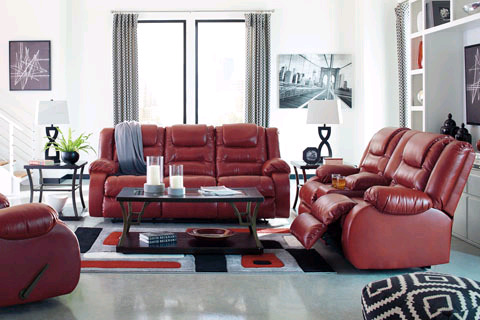 Supple fabric gives your room the high end look of leather with a spicy pop of color. You?ll love how easy it is to recline in infinite positons of relaxation.